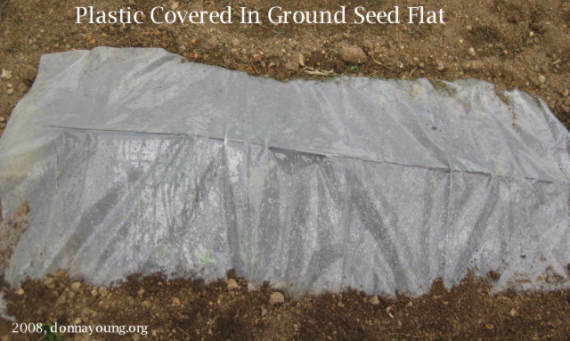 This is just an update on the in-ground seed flat that I showed a photograph of in the first garden entry for this season, and in that entry, I wrote brief instructions to make an in-ground seed flat. I planted the flat on May 1st or 2nd. 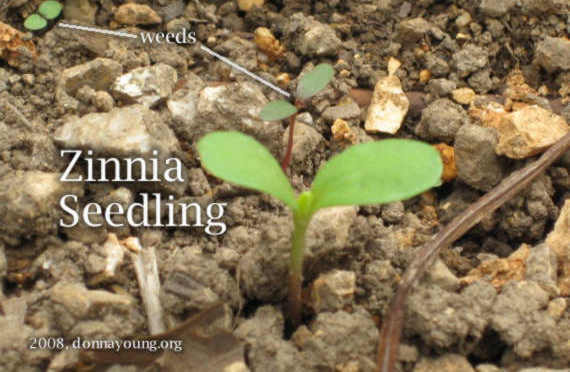 The zinnias germinated within the week and the herbs and the milkweed have recently started germinating. Here are images of the flat. The first one shows it covered and I keep it covered all the time. I uncover it to check on it and then cover it back up. The item holding the plastic up is an old damaged Shepard's garden hook. A photograph of the flat opened. This photograph is a close up of the tiny herb seeds. These herb seedlings are tiny and it took them almost two weeks to germinate. 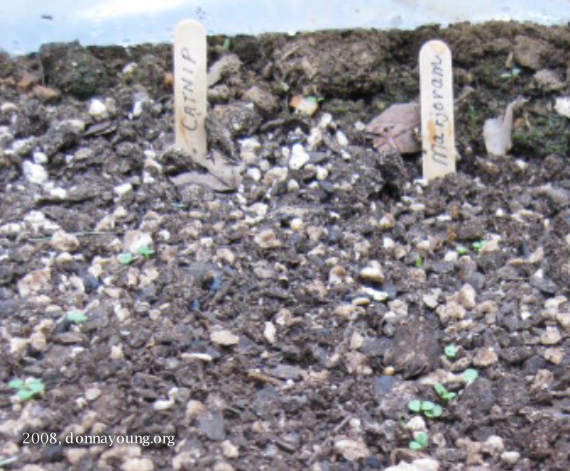 Seedling size and germination time are two of the reasons that I chose to start the plants in this way. 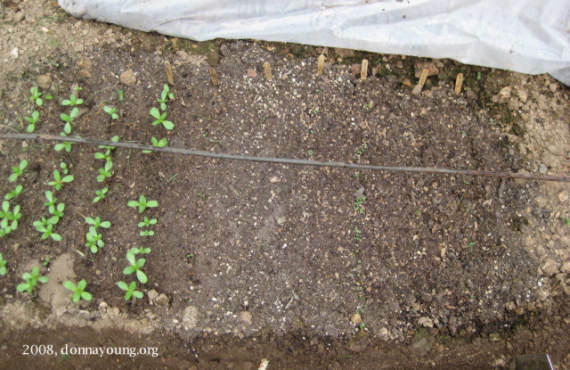 When the seedlings are bigger, I can transplant them into the garden. Side note: The zinnias that grew in my garden last year are coming up from last years matured seeds in many places in the garden. I'm sure the goldfinches had something to do with this. Last year they sat on the zinnia flowers, mainly the pink ones, and pulled seeds out to eat them. They dropped a lot of seeds. The zinnia freebies are everywhere and I try not to trample them when I work in the garden. I will move most of them next week.